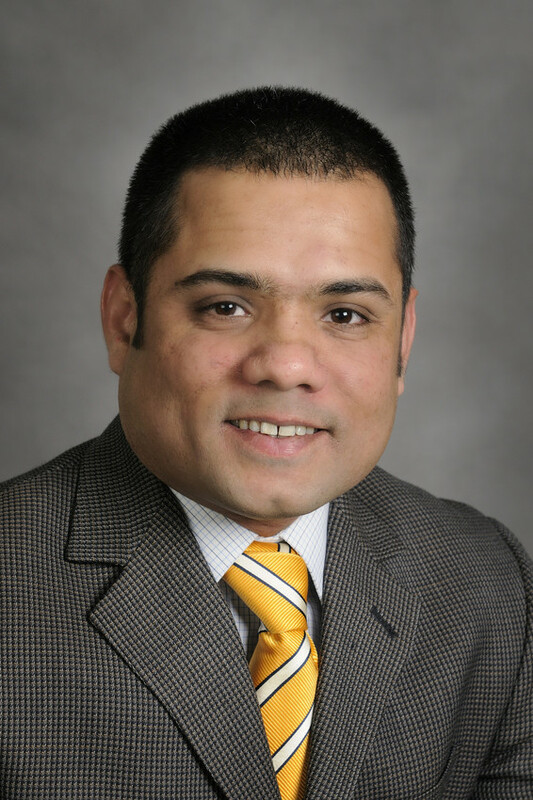 Information management scholar Kevin Desouza has joined ASU’s College of Public Programs as associate dean for research and associate professor of public affairs, effective Aug. 16. “Dr. Desouza is exceptionally creative and innovative, and an ideal person to lead efforts to advance the college’s research enterprise,” Koppell added. In his new role, Desouza will facilitate opportunities for collaboration, help form connections across academic units and centers, and link individuals with complementary interests and expertise to expand the college’s collaborative research agenda and external funding opportunities. “I have known of the many spectacular research programs within the College of Public Programs for some time now, and when presented the opportunity to lead the research enterprise at the college, I could not turn it down,” he said. Desouza was recruited from Virginia Tech University, where he was director of the Metropolitan Institute within the College of Architecture and Urban Studies, School of Public and International Affairs. He previously served as associate professor with the Information School at the University of Washington. At UW, he co-founded and directed the Institute for Innovation in Information Management (I3M); founded the Institute for National Security Education and Research; and held adjunct faculty appointments with UW’s College of Engineering and Daniel J. Evans School of Public Affairs. A prolific researcher, Desouza has received more than $1.4 million in research funding from both private and government organizations. Additionally, he is the author, co-author or editor of nine books, including "Intrapreneurship: Managing Ideas within Your Organization" (University of Toronto Press, 2011) and more than 125 articles in prestigious practitioner and academic journals. His work also has been featured in publications such as the Sloan Management Review, Businessweek and Computerworld, among others. Desouza has advised major international corporations and government organizations on strategic management issues, and he is frequently an invited speaker on business and technology for industry and academic audiences worldwide. Desouza received his undergraduate degree in accounting and information and decision sciences from the University of Illinois at Chicago (UIC) in 2000 and his doctorate in Management of Information Systems from UIC in 2006. To learn more about Desouza, visit his website. It's a new era at West, with the opening of new residence and dining facilities. A Sept. 7 celebration is scheduled, including tours of the new buildings. The public is invited to join ASU President Michael M. Crow, local civic leaders and members of the West campus community to celebrate the opening of two new buildings that are serving the growing campus population. 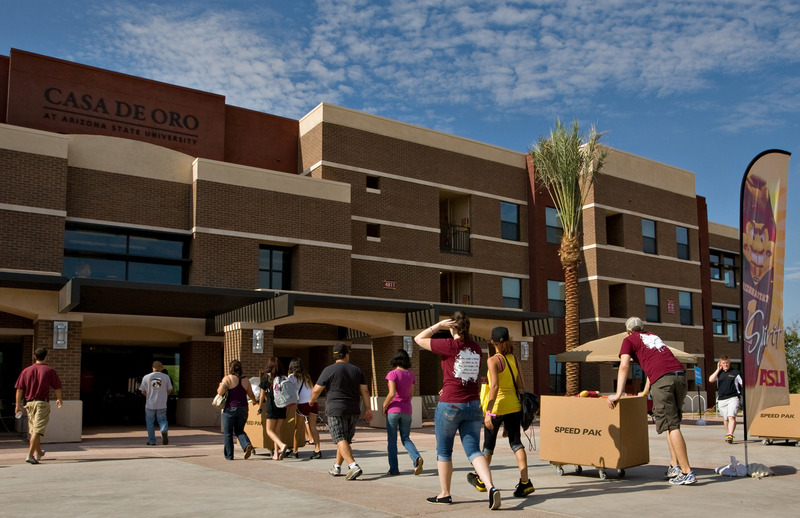 Nearly 300 students have taken up residence in Casa de Oro, which is designed to provide a nurturing, interactive environment enabling freshman and sophomore students to thrive in a university setting. Casa de Oro complements the Las Casas housing facility, which opened in 2003 and which now serves upperclassmen and graduate students on the West campus. The Verde Dining Pavilion adds expanded dining choices on campus, including open and private dining areas, late-night dining options and market-style servery areas. A third new building, the Sun Devil Fitness Complex, is under construction and scheduled to open in January. The three new buildings will surround a second grass quad area on campus, along with Fletcher Lawn to the east. “These buildings represent more than simply places to live and to eat,” said Elizabeth Langland, ASU vice provost and dean of the New College of Interdisciplinary Arts and Sciences, the core college on the West campus. “They are part of a continuing transformation of the West campus into a fully realized living and learning community, what President Crow terms an academic village. “We are expanding opportunities for our students to continue exploring and discussing what they have been learning in their classes as they eat with their fellow students, share a fitness class, or gather at the end of the day in a residential lounge. The new facilities provide contexts for students to enhance their classroom experiences with peer conversations that immeasurably enhance the process of learning and discovery that college represents,” Langland said. Among the initiatives under way in Casa de Oro is the Faculty-in-Residence program. Barbara Tinsley, a professor in New College, is living in the residence hall. During the school year more than 30 faculty members from all colleges on the West campus will dine with small groups of freshmen on Wednesday nights in Verde Dining Pavilion. This initiative will facilitate students’ informal contact with faculty and introduce them to the variety of scholars and their work on the West campus, according to Tinsley. Student Matthew Magallanez was selected to serve as senior community assistant for the Casa de Oro and Las Casas residences. Now in his senior year, Magallanez has served as a community assistant in Las Casas since he was a sophomore. Casa de Oro amenities include study rooms, social lounges, a community kitchen for programming use, laundry facilities, a business center, a gaming lounge and an interior landscaped courtyard. The Verde Dining Pavilion includes vegetarian and vegan options on its all-you-care-to-eat menus. The Jamba Juice formerly located in the University Center Building has relocated to the new dining facility. The new buildings underscore the university’s commitment to providing the best possible student experience for all Sun Devils, said Mistalene Calleroz White, dean of students on the West campus. No state dollars or tuition revenues were used to fund the residence hall or dining facility. The $14.3-million Casa de Oro complex is built and owned by American Campus Communities, with whom ASU worked to establish the successful Barrett Honors College and Vista Del Sol projects on the Tempe campus. The project cost for the Verde Dining Pavilion, also built by American Campus Communities, is $9.5 million. ARAMARK, the dining service provider, is a contributor to the project. In addition to New College, West campus students pursue degrees offered by ASU’s Mary Lou Fulton Teachers College and W. P. Carey School of Business. Qualifying West campus students also have full access to Barrett, The Honors College.